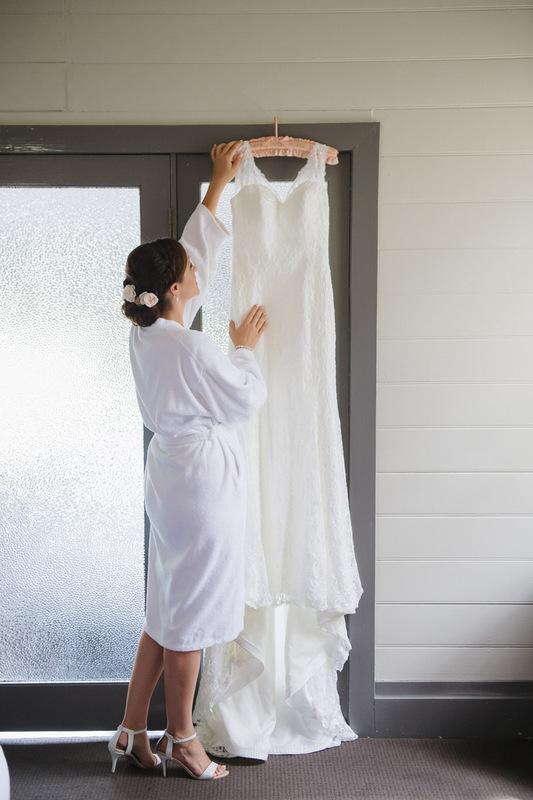 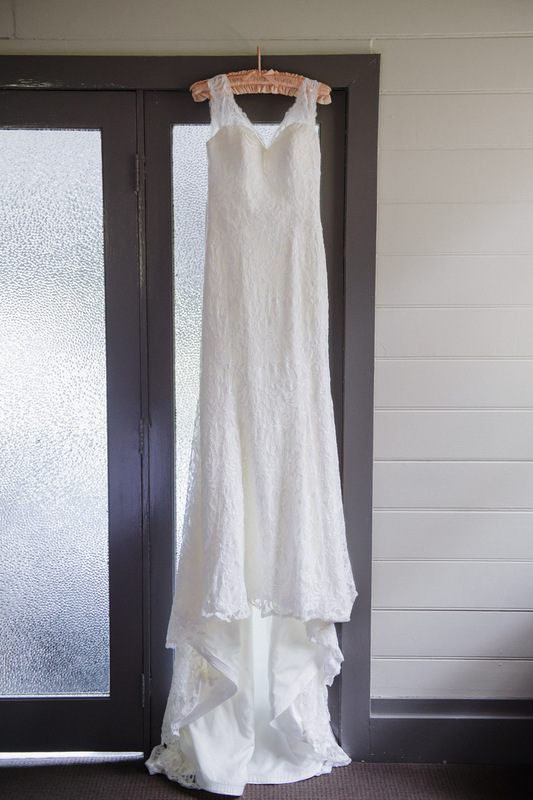 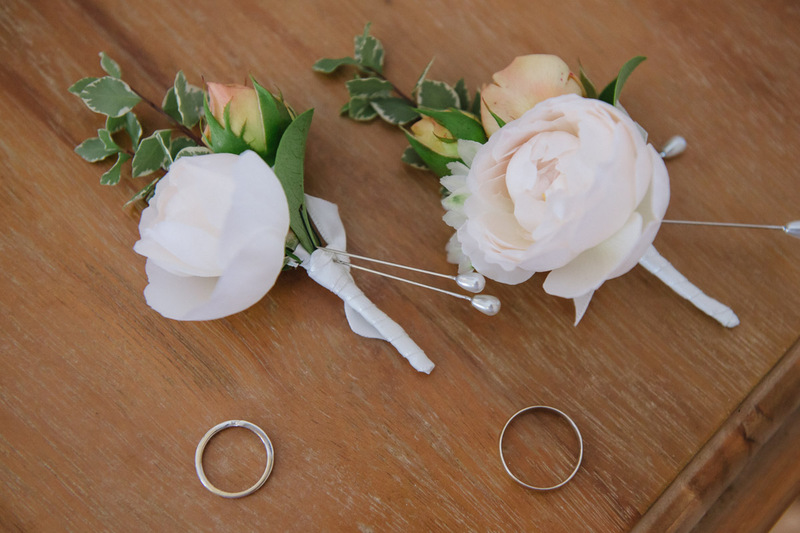 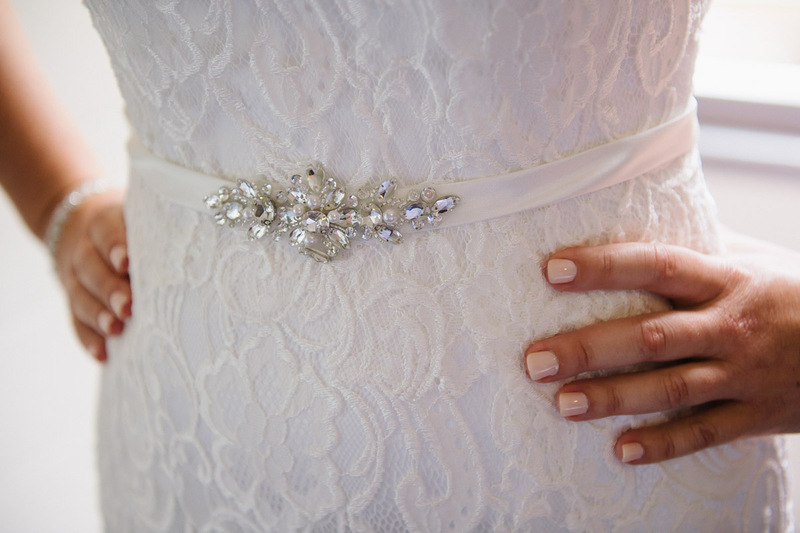 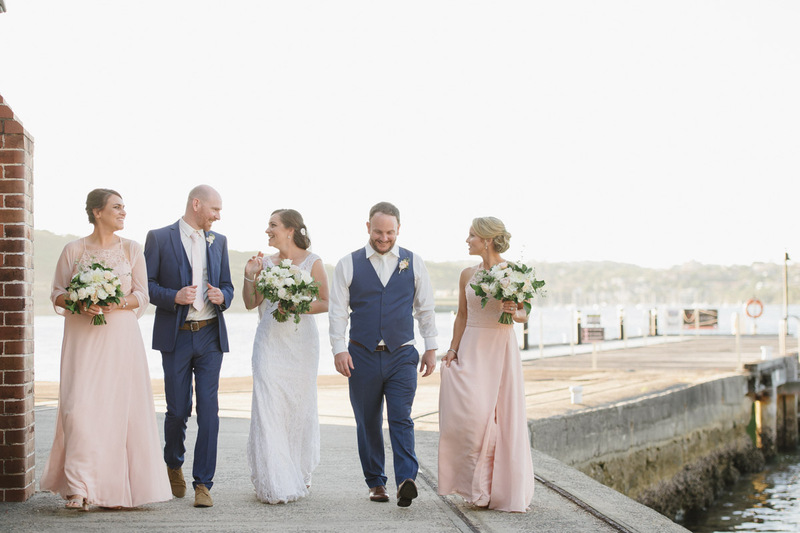 When it comes to choosing your bridal party, the possibilities are endless. 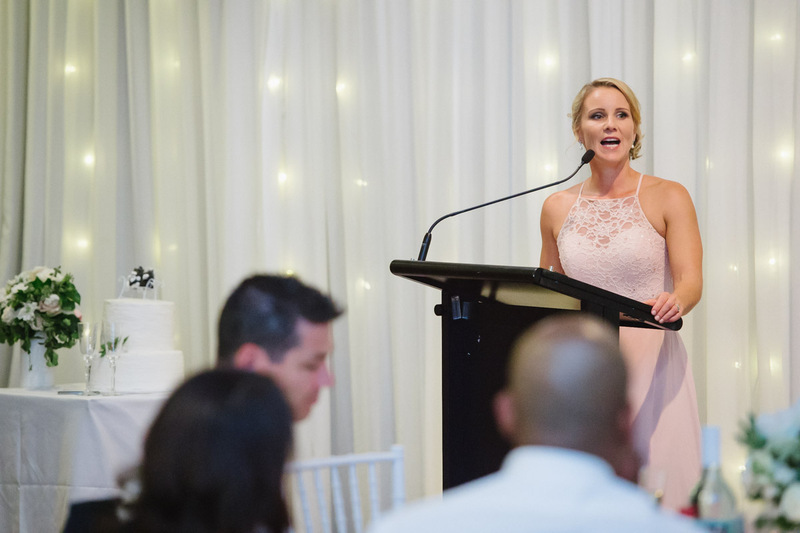 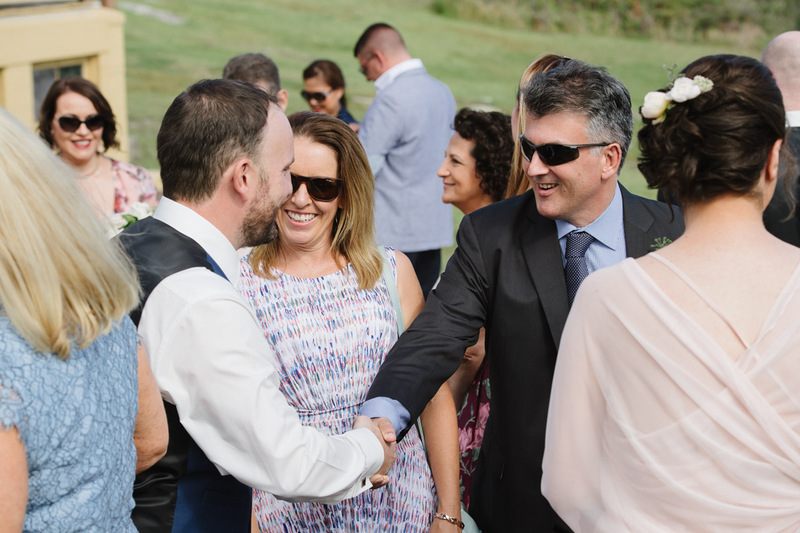 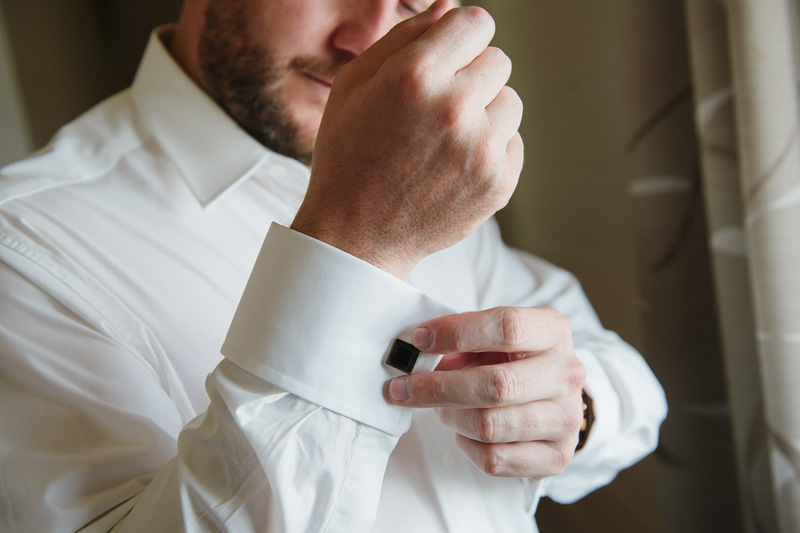 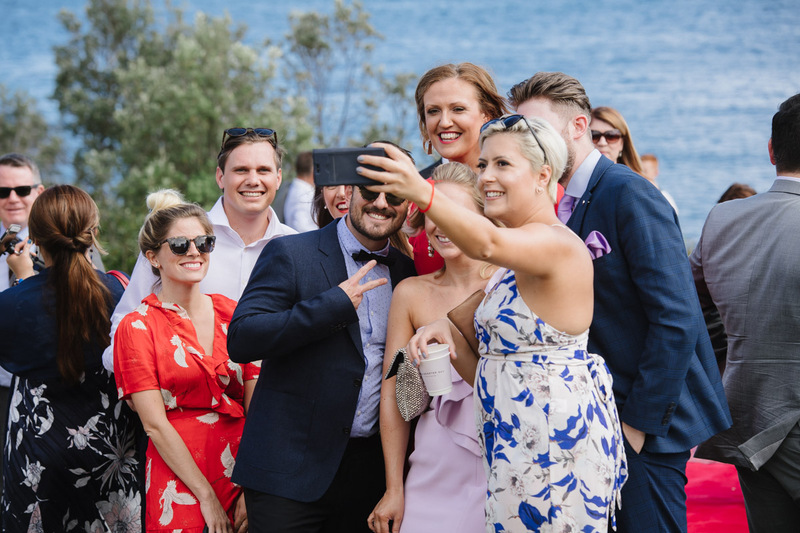 At most of the Sydney weddings we photograph, we’ve noticed that most wedding parties tend to consist of adult friends and family in the role of bridesmaids and groomsmen, although some modern couples mix things up a bit with a best woman or even a bride’s man. 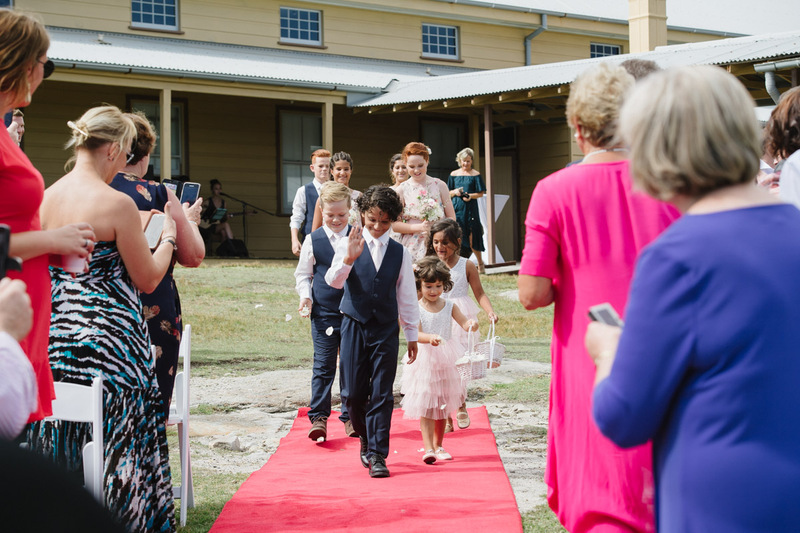 In the United Kingdom on the other hand, it is common to have children only in the bridal party (think of recent royal weddings); here in Australia, including children – as flower girls and page boys – is more of an optional extra, should you have some special little people in your life. 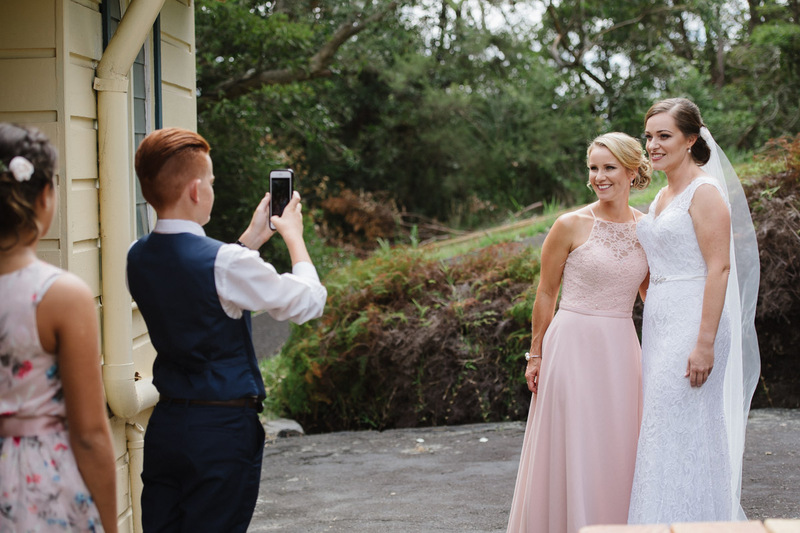 But what if you want to include youngsters in the tween to early teen years – not quite children, not quite adults? 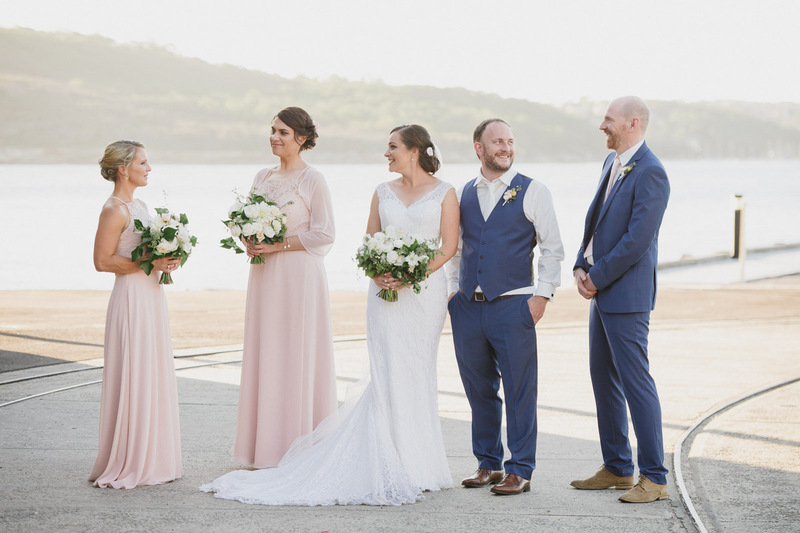 The good news is, they can still be a part of your special day – like Ben and Fran, you could ask them to be junior bridesmaids or groomsmen. 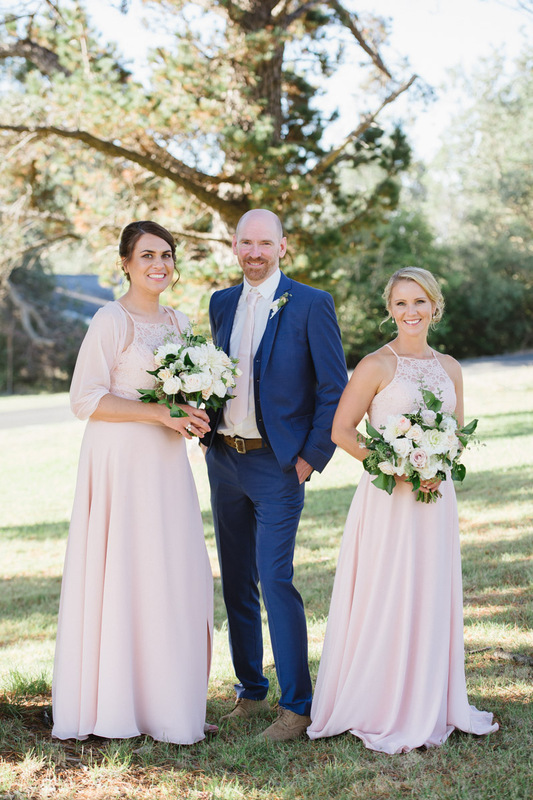 Junior members of the wedding party may wear a modified version of the adult outfits, in similar or complementary colours or prints – as we can see here. 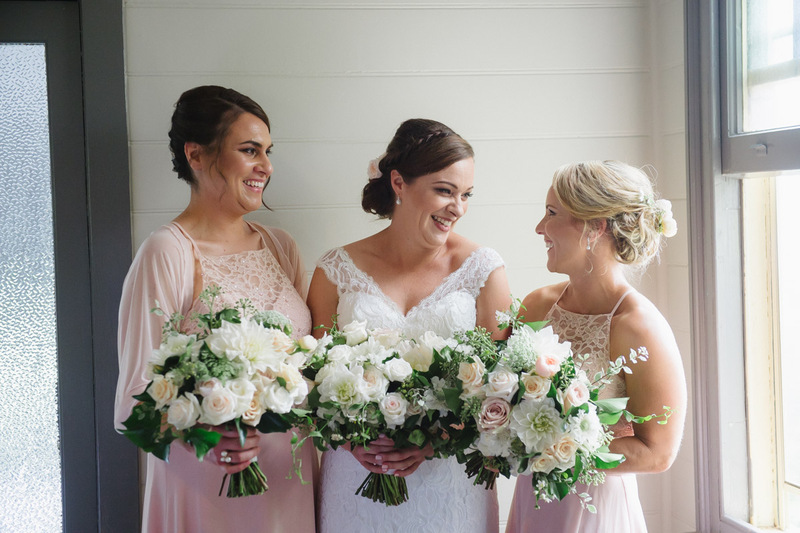 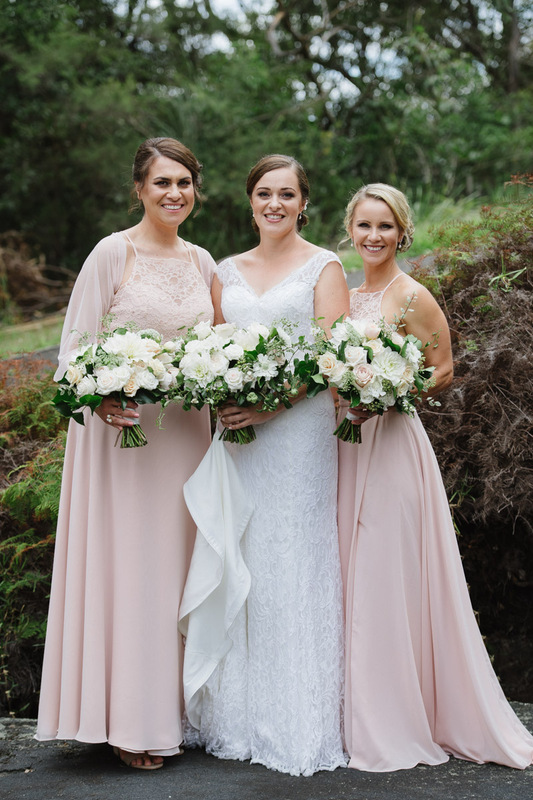 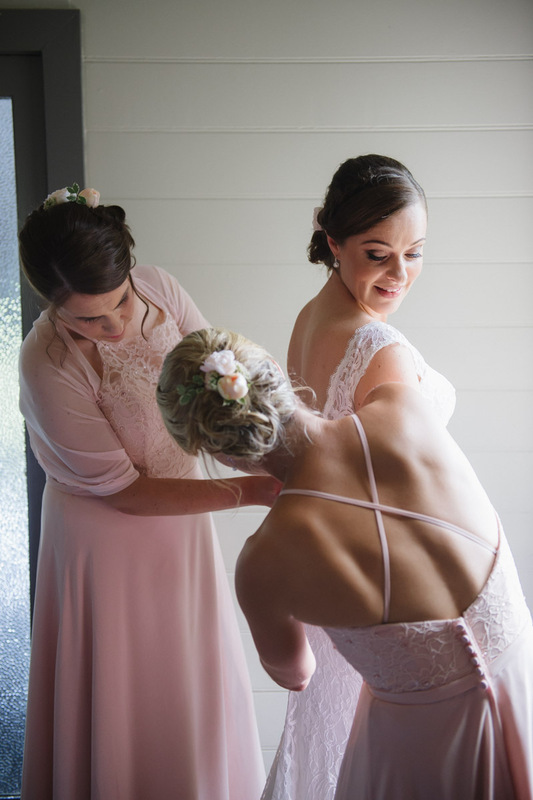 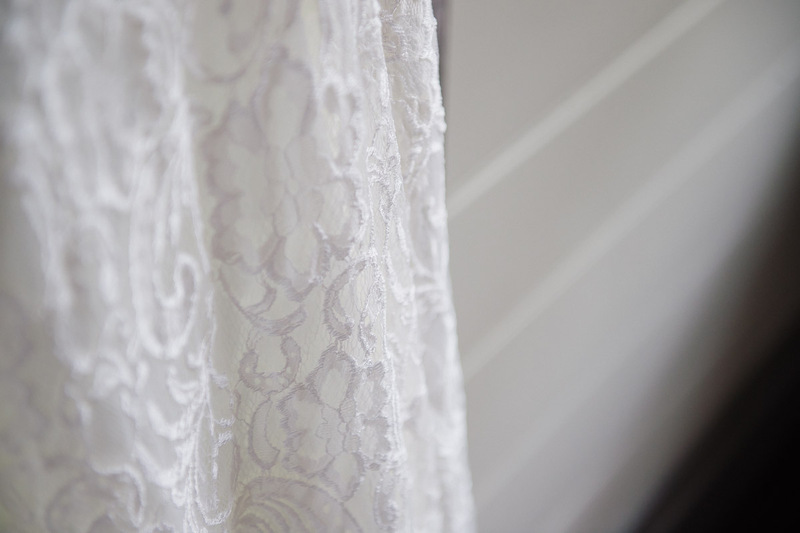 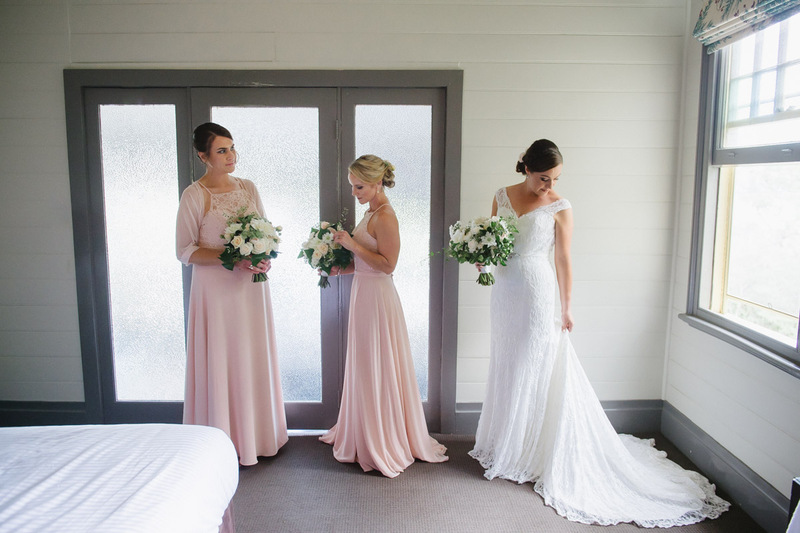 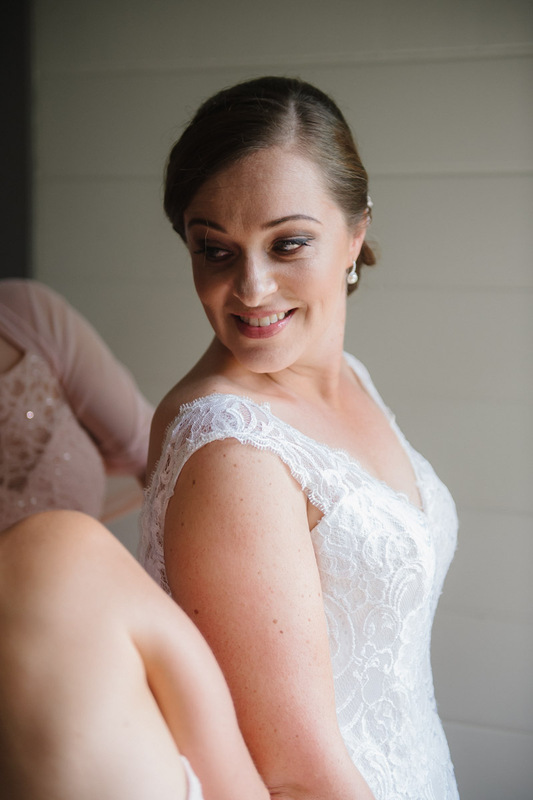 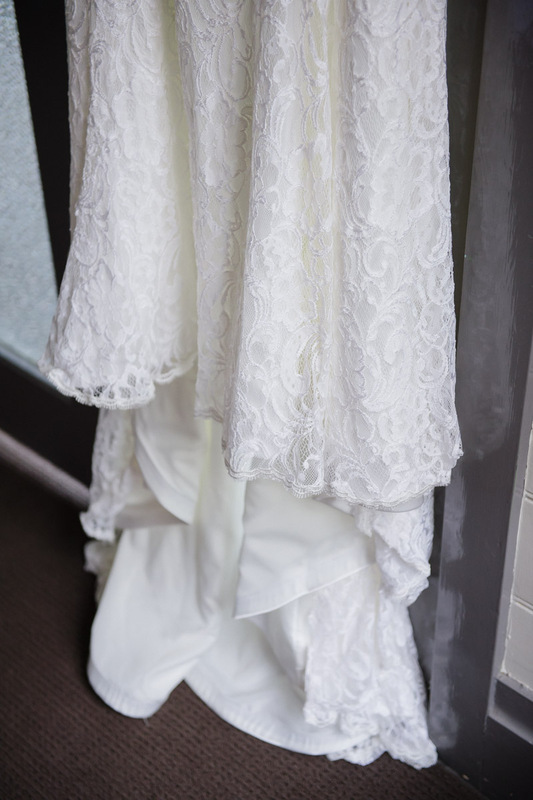 The beautiful bride, Fran, wore a sophisticated lace number which dipped low in the back, while her two adult bridesmaids wore long gowns with lace bodices, in a delicate shade of pink. 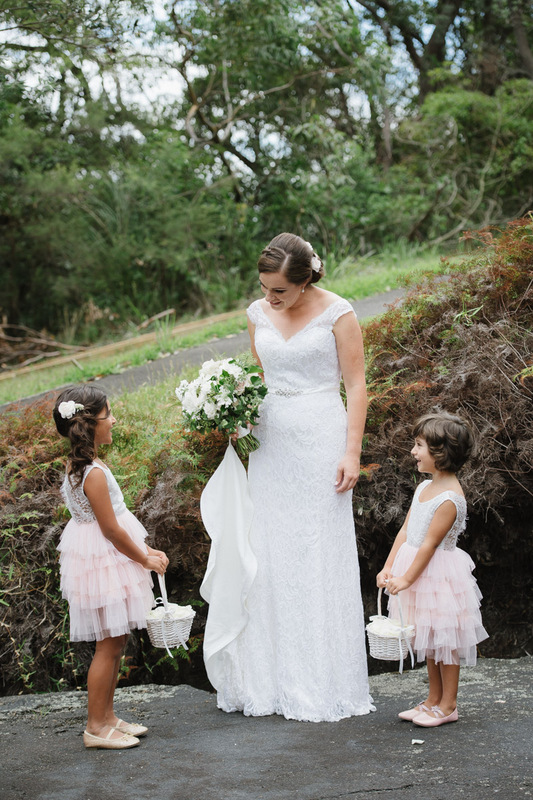 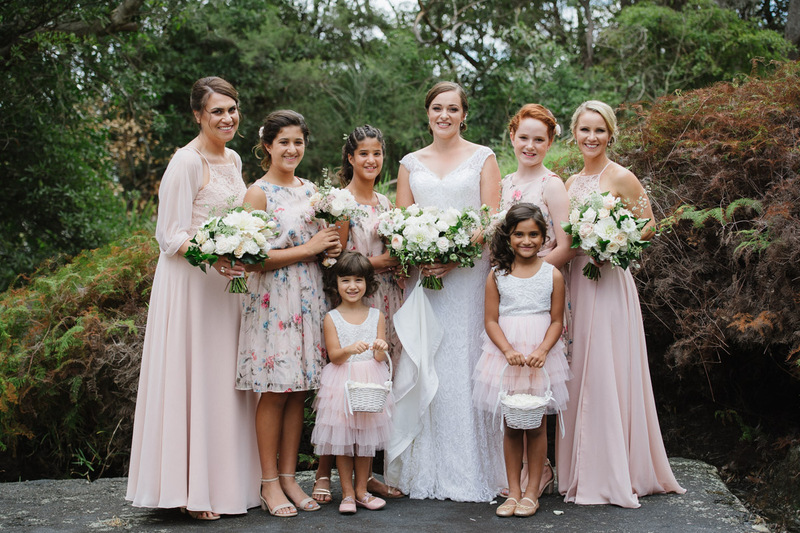 The younger members of the bride’s retinue also wore blush, with three junior bridesmaids in a coordinating floral print, and two flower girls in frocks with ruffled tulle skirts. 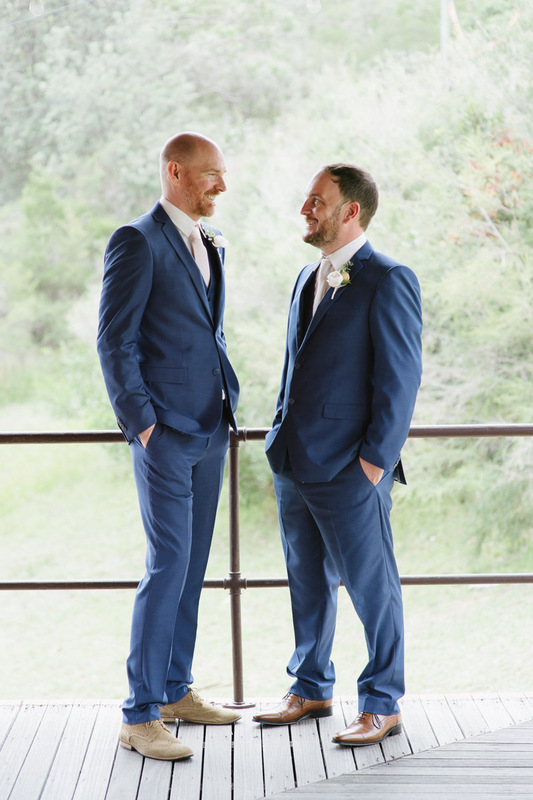 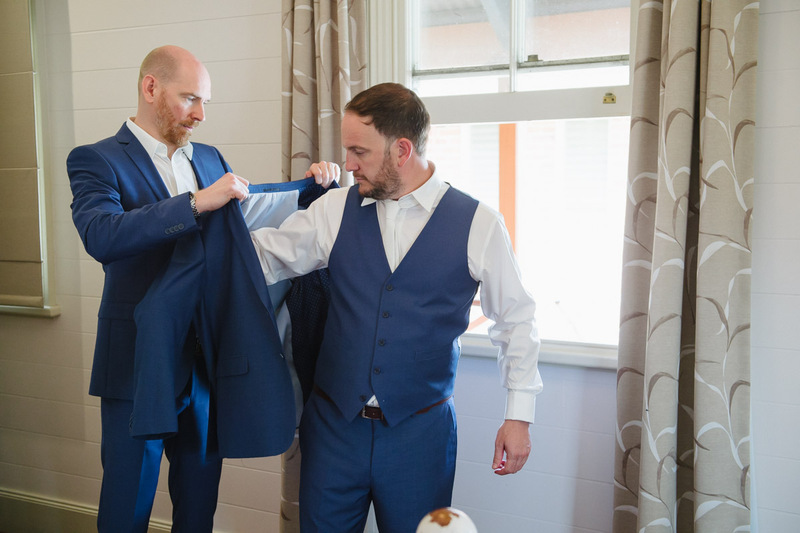 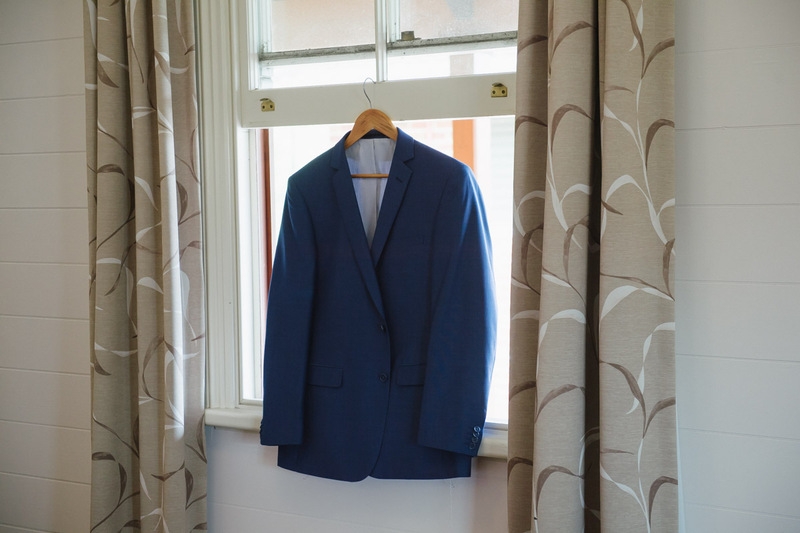 Not to be outdone, the male attendants (also a range of ages), wore dark ocean blue – perhaps inspired by the waters of Sydney Harbour, the stunning backdrop for the actual ceremony – with three-piece suits for the grownups, and a smart vest and long pants for the younger males. 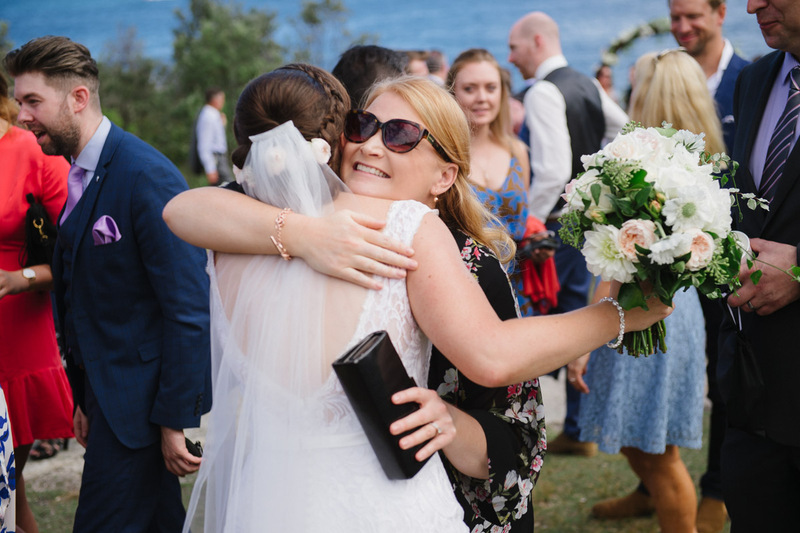 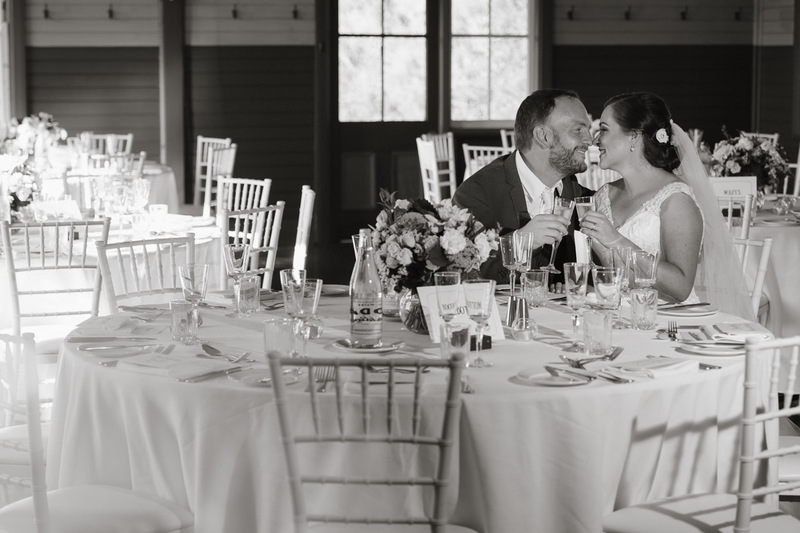 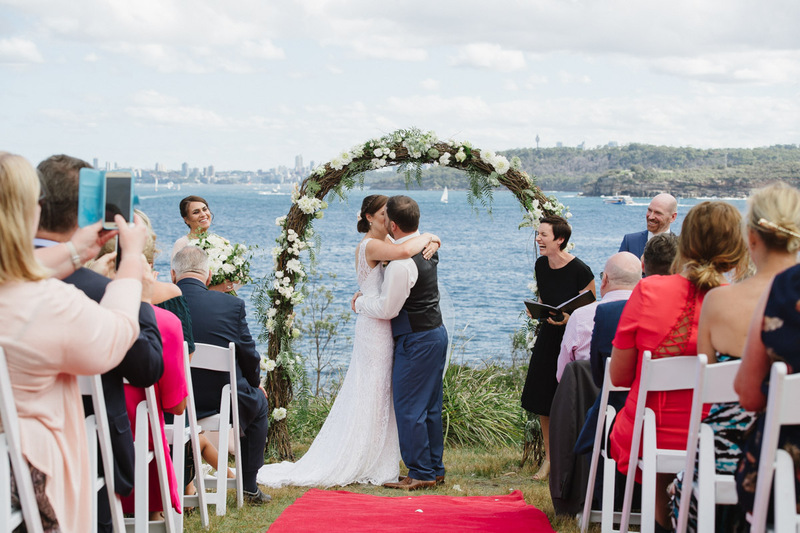 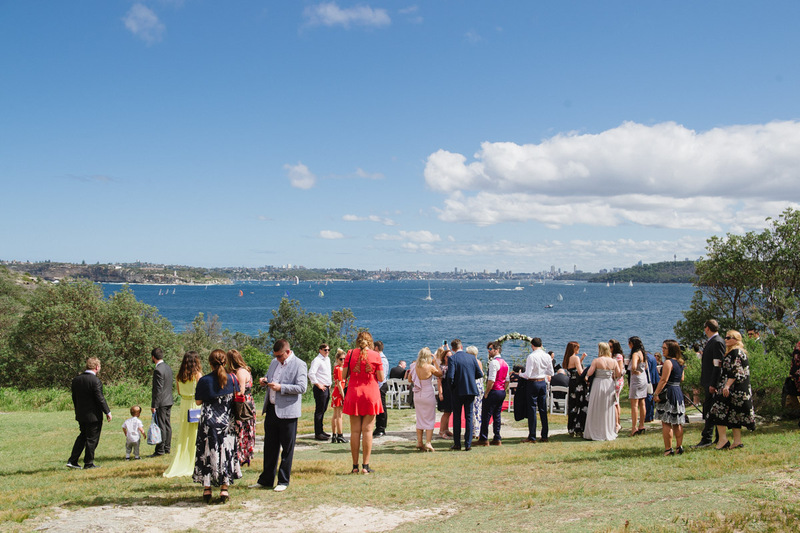 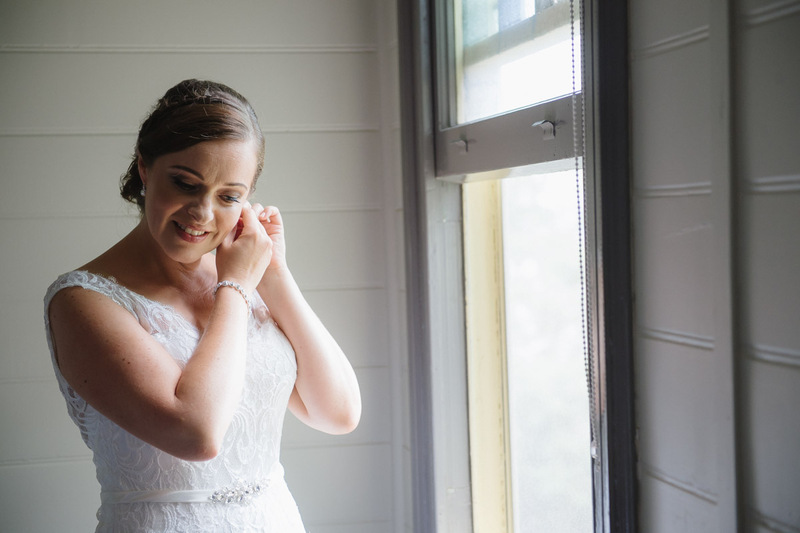 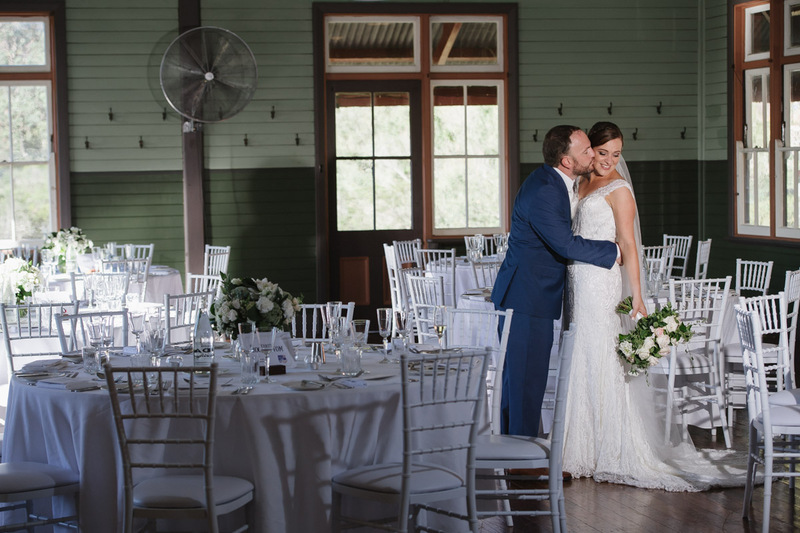 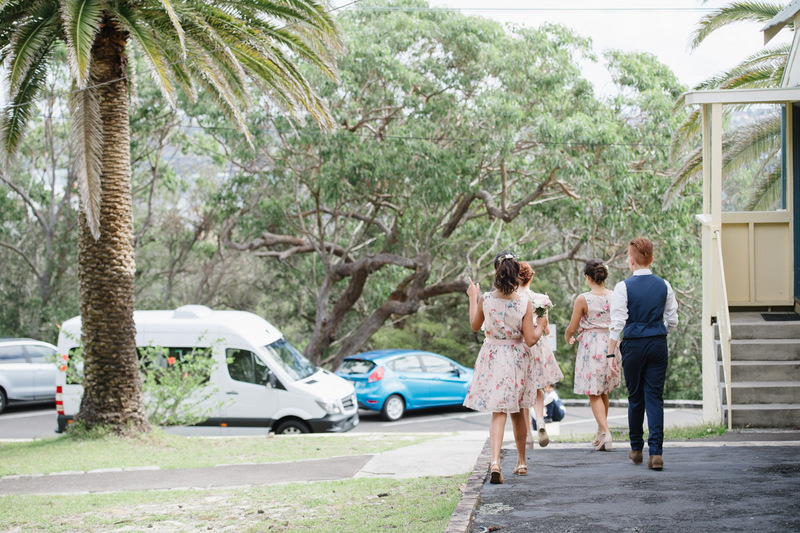 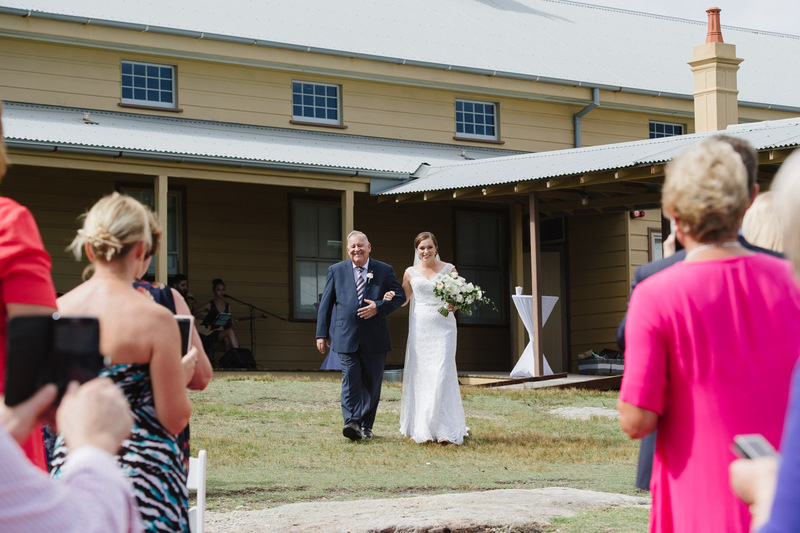 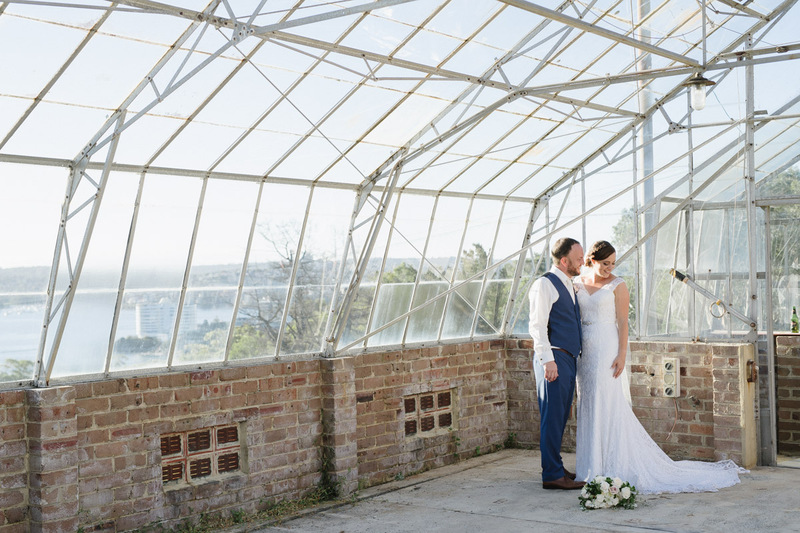 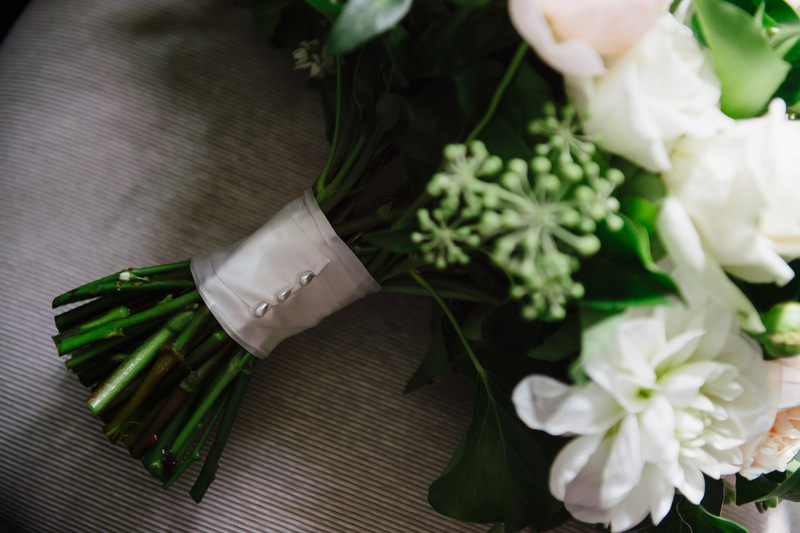 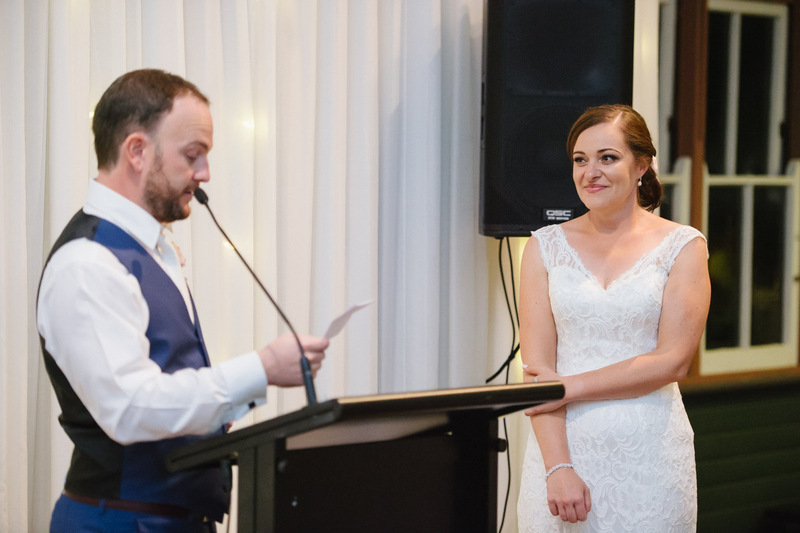 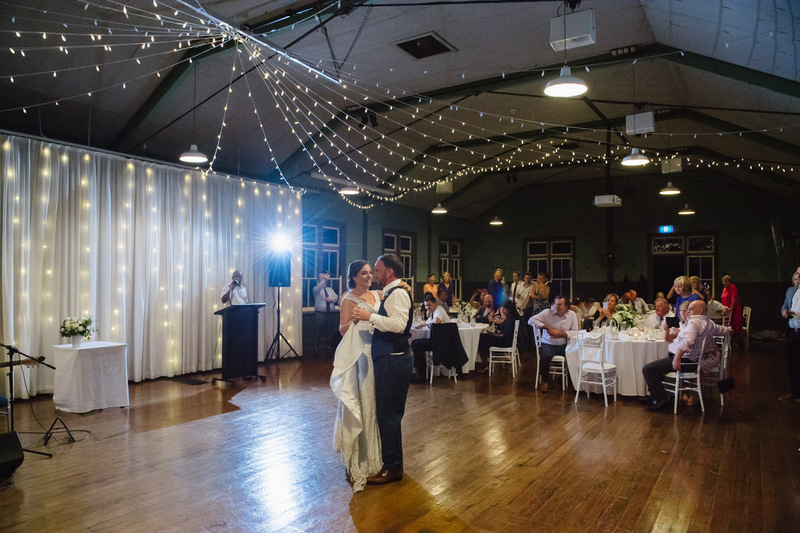 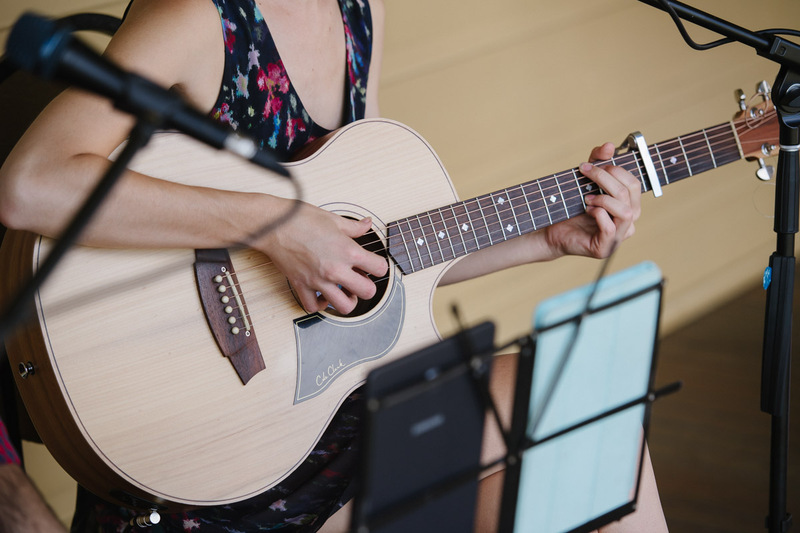 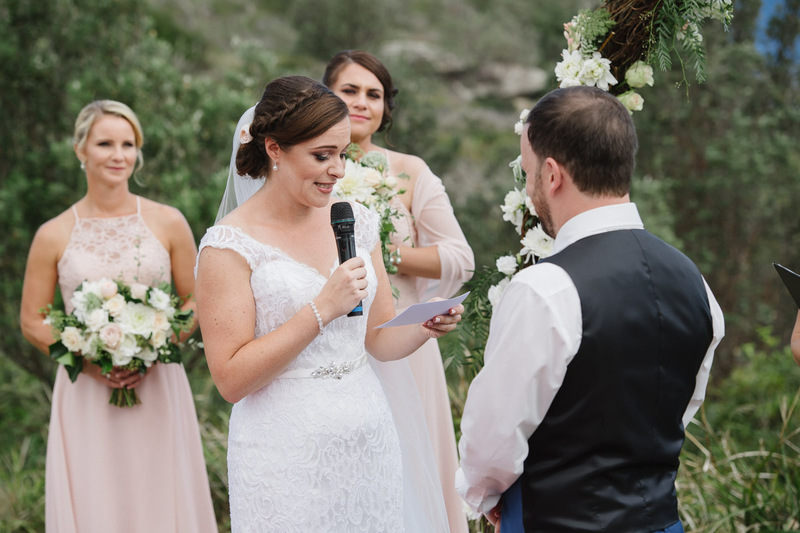 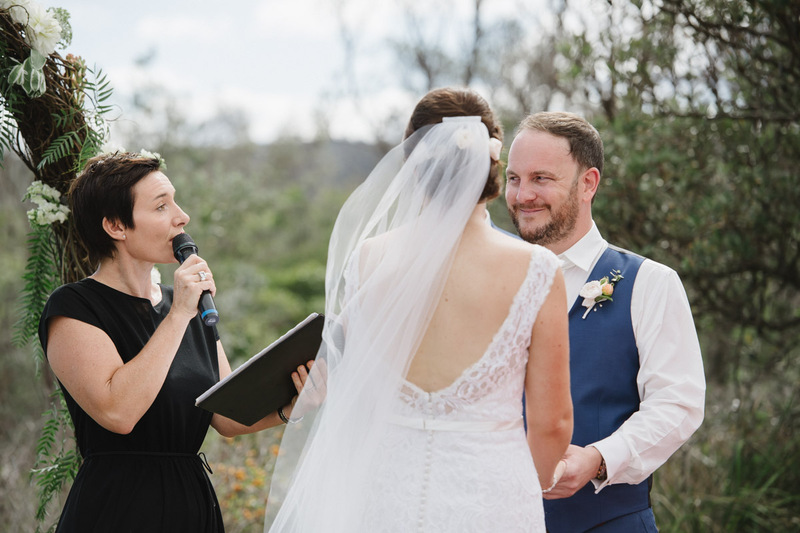 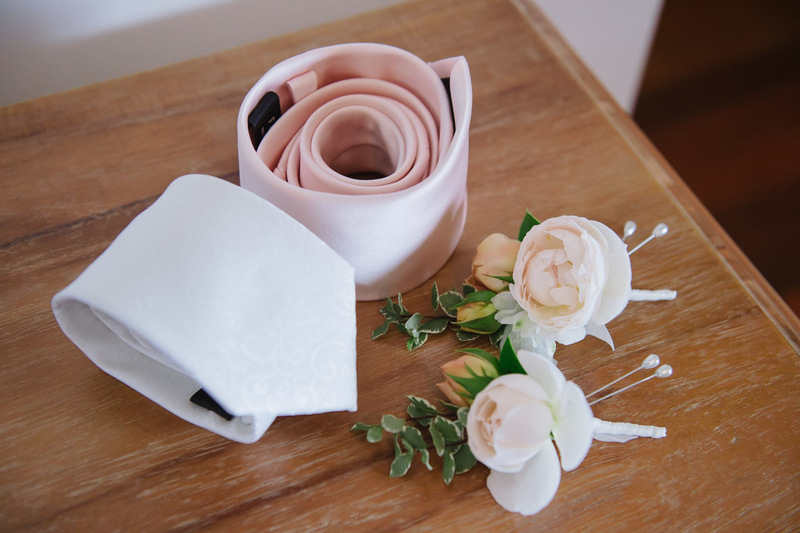 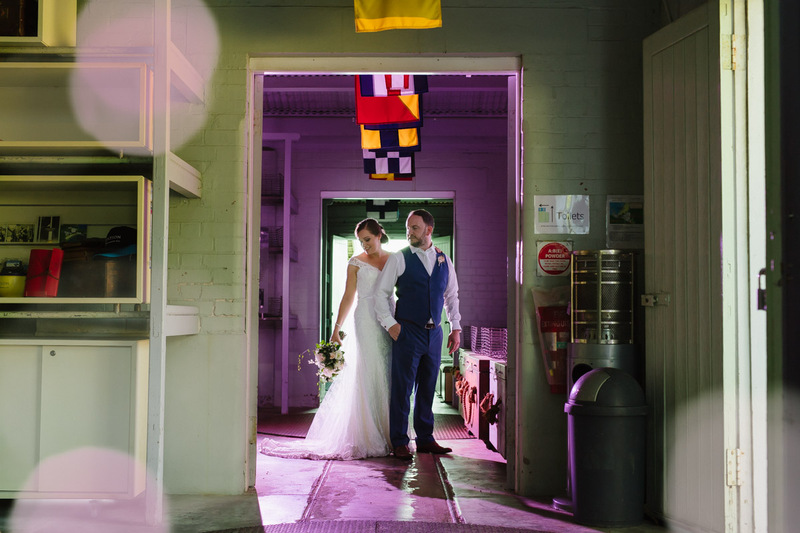 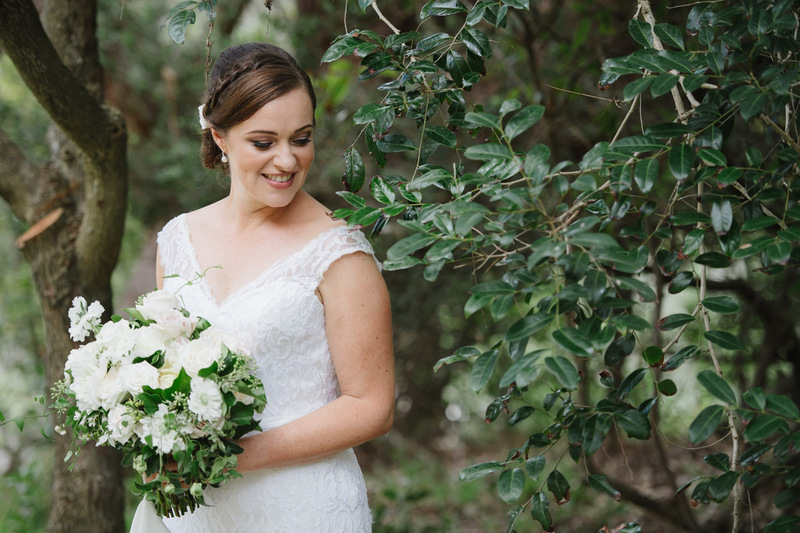 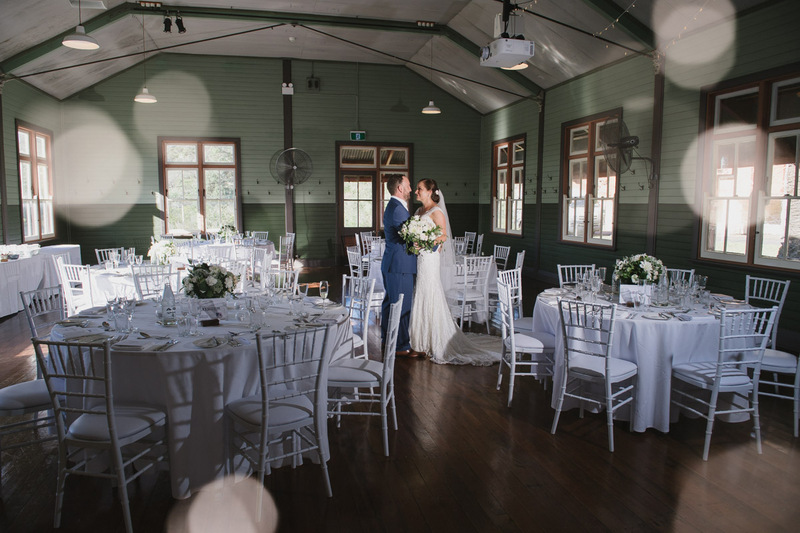 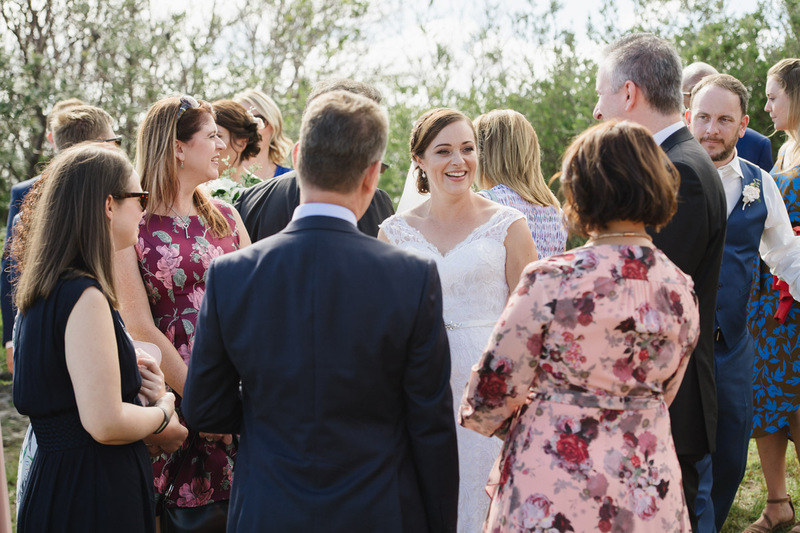 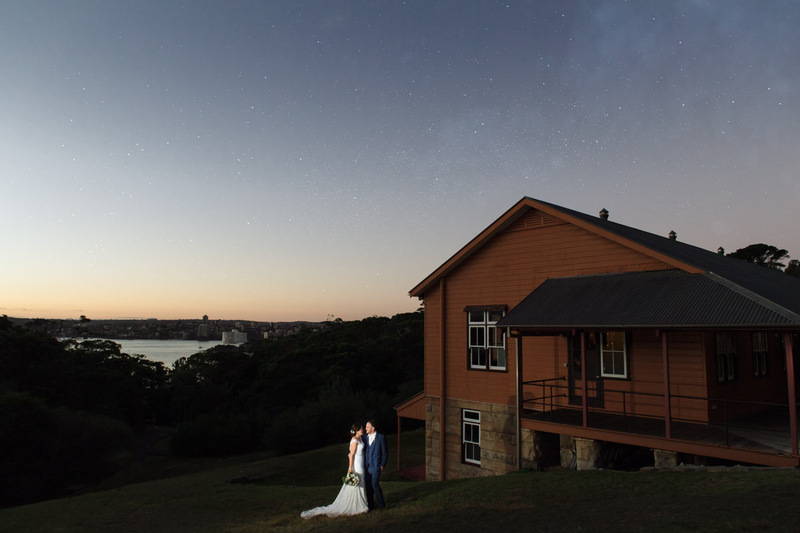 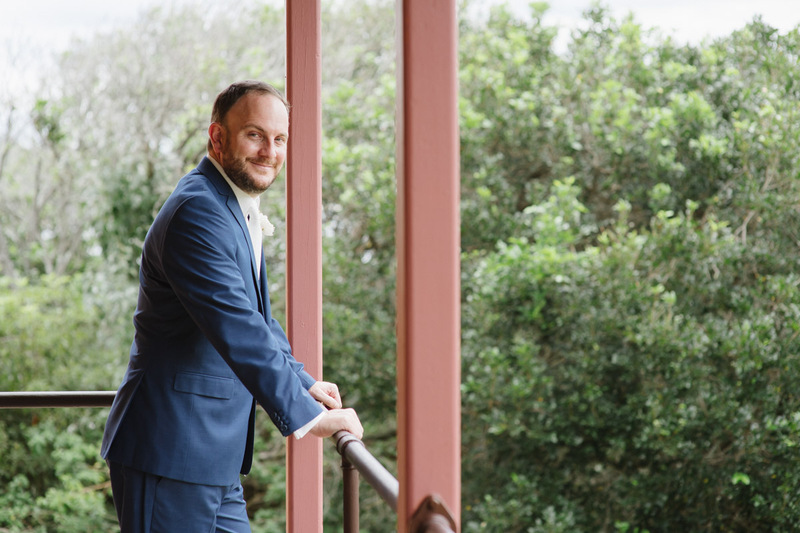 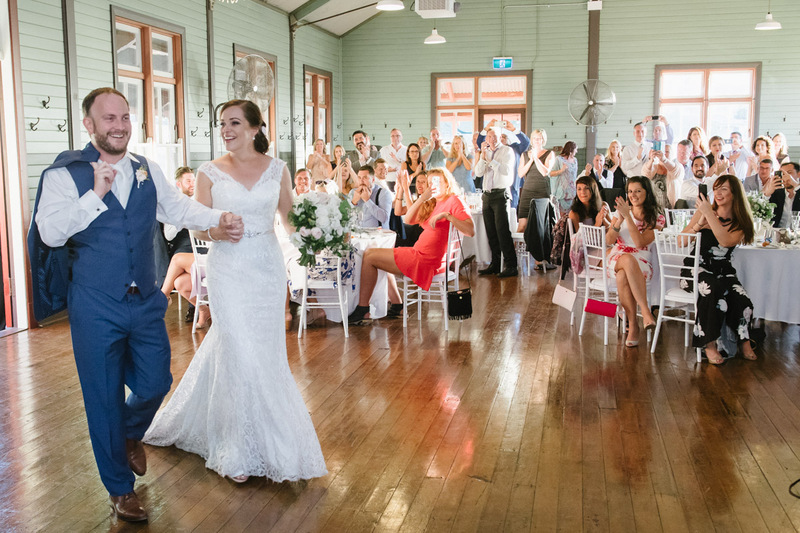 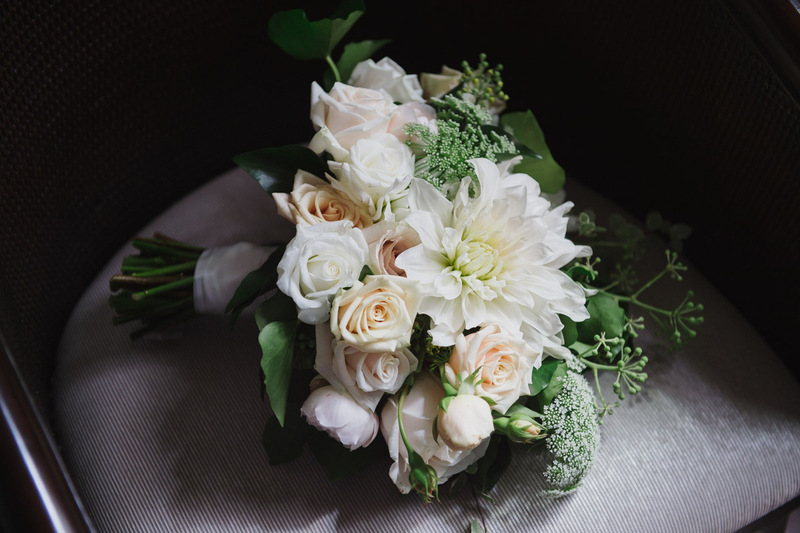 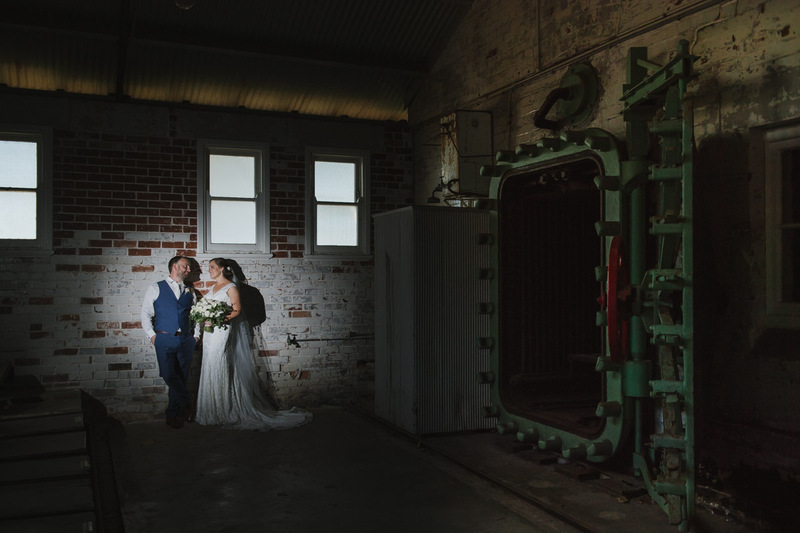 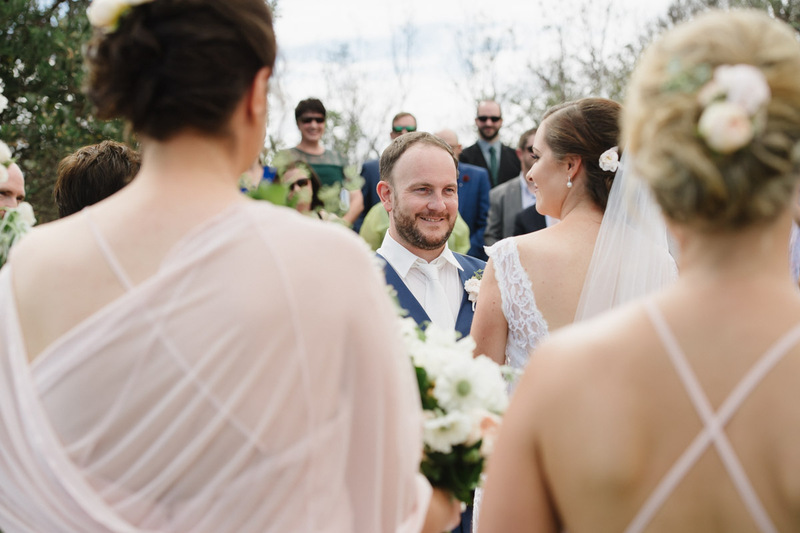 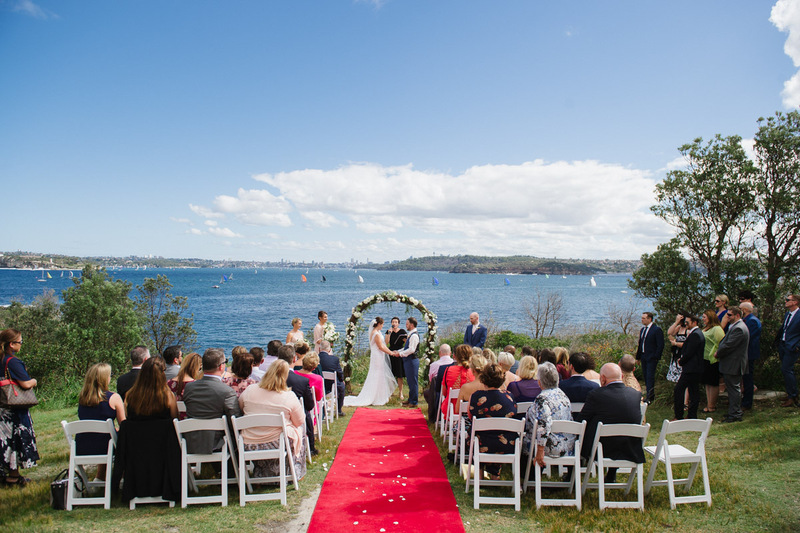 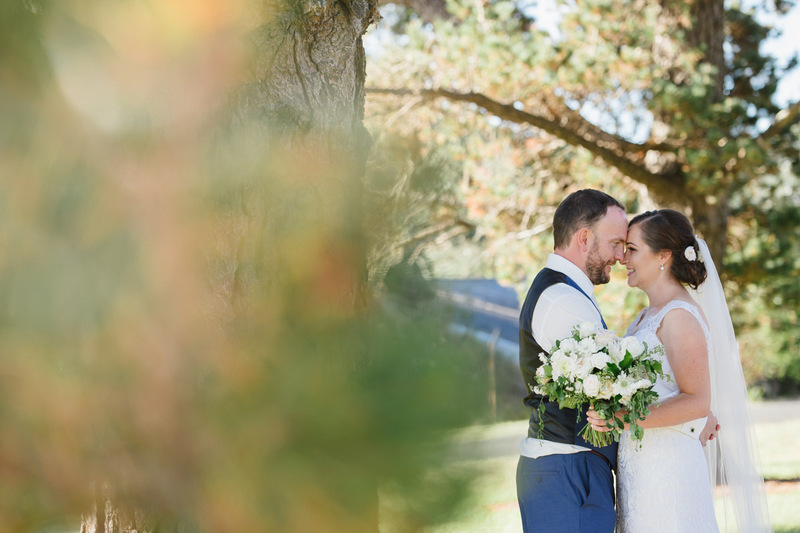 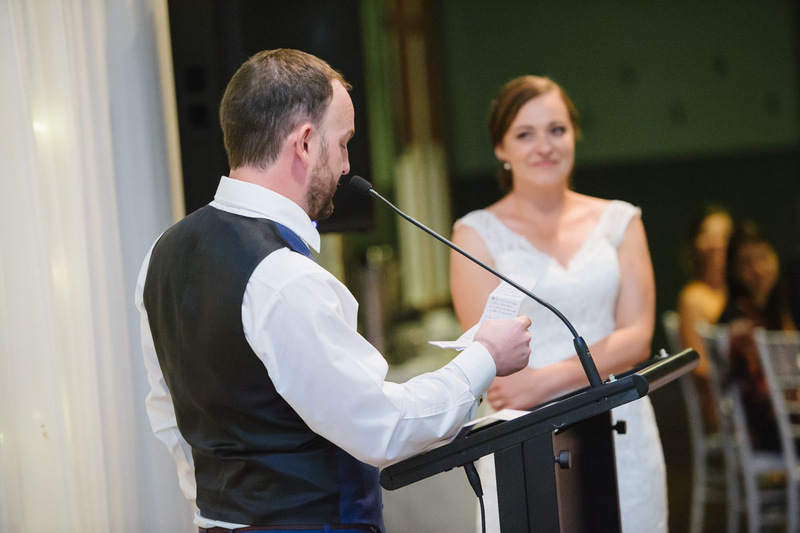 The couple’s ceremony and reception were held at Q Station in Manly, which served as the Sydney quarantine station from the 1830’s up until the 1980’s. 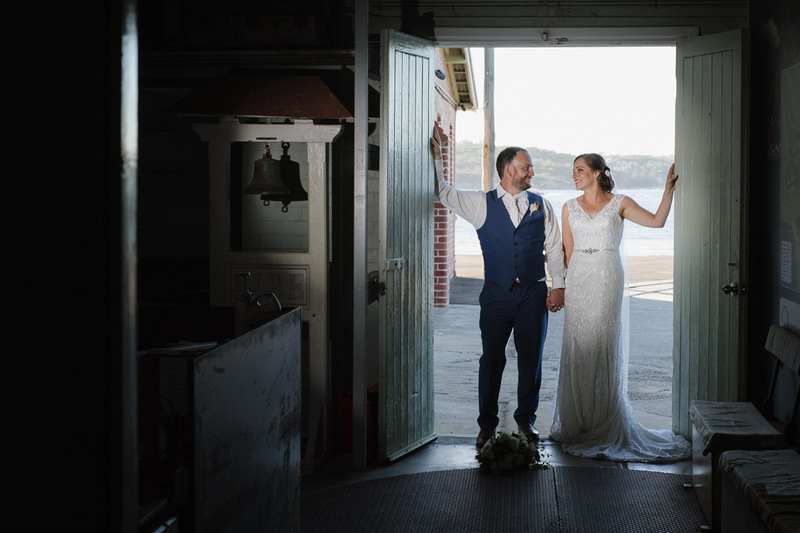 The historical buildings and waterfront location provided the perfect opportunity for our wedding photographer to create some truly dramatic and artistic imagery. 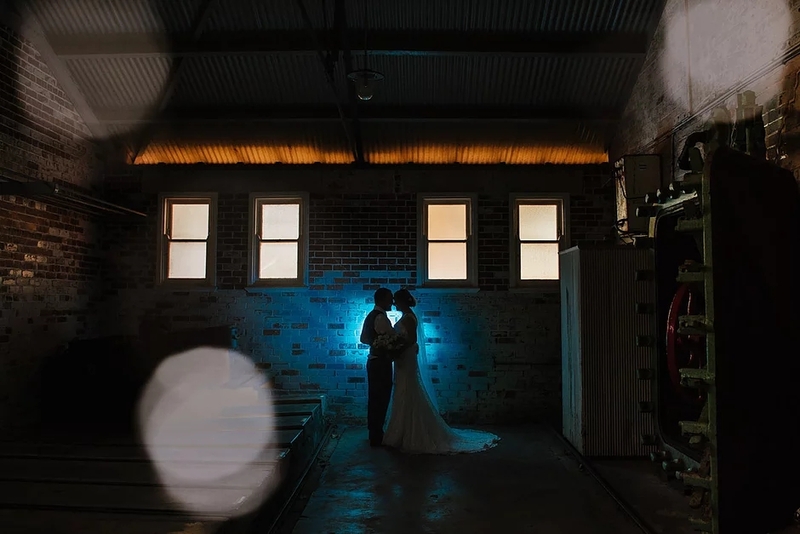 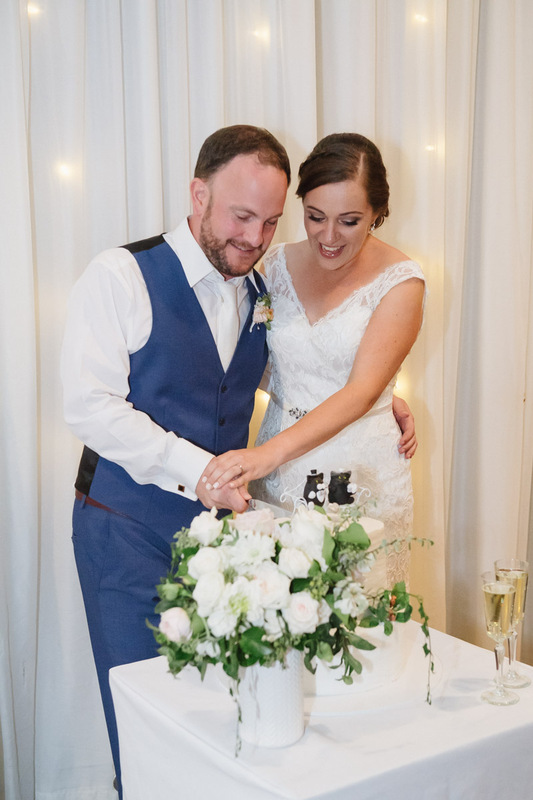 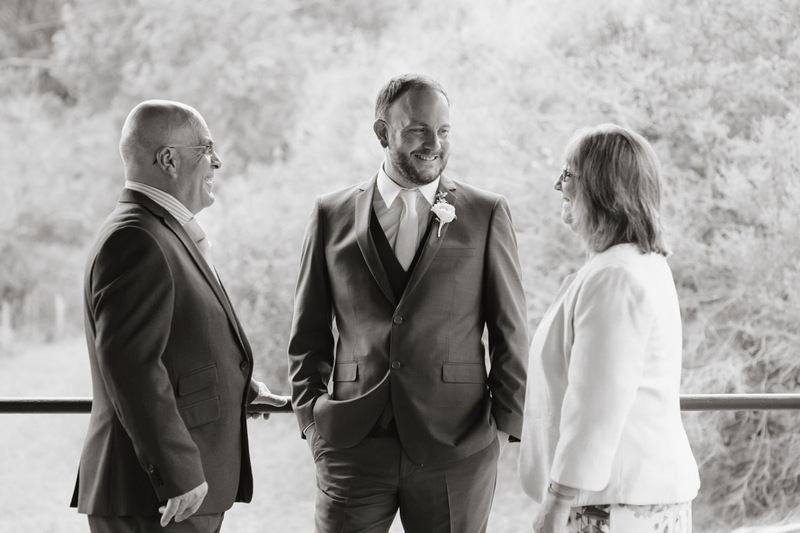 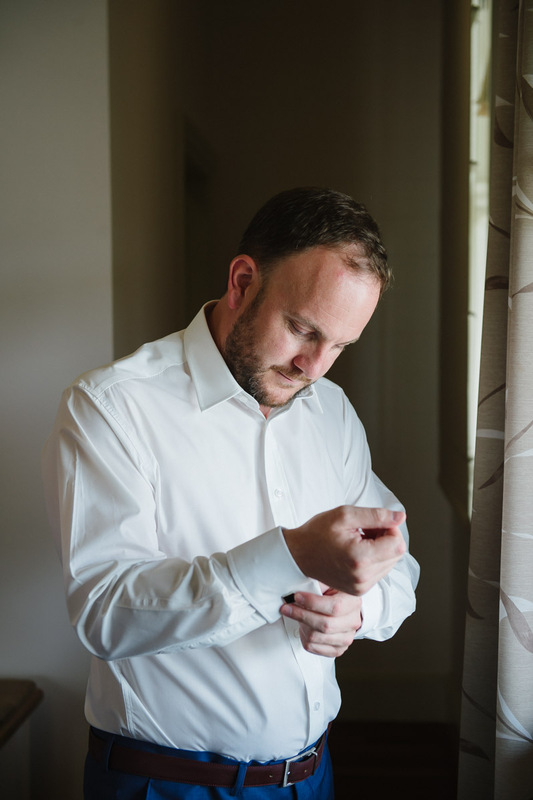 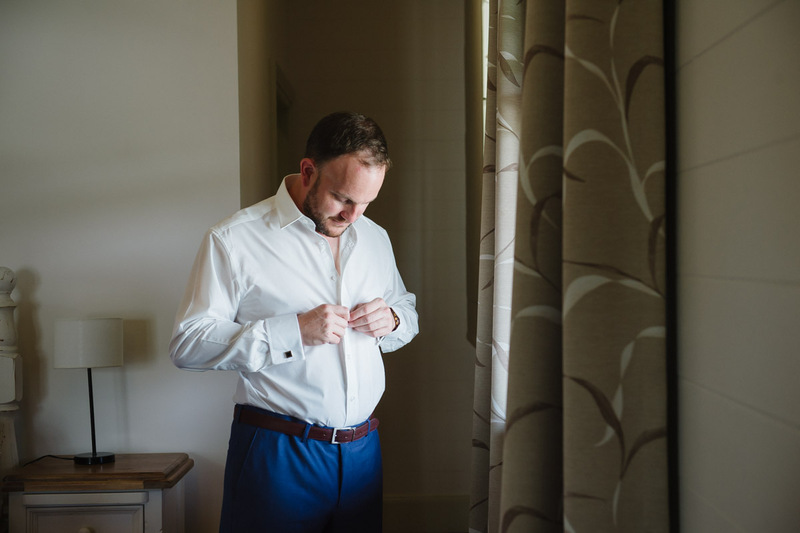 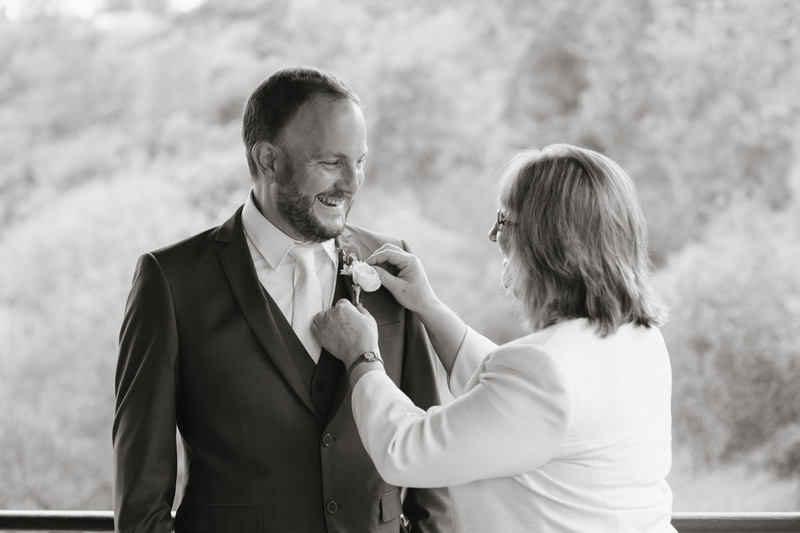 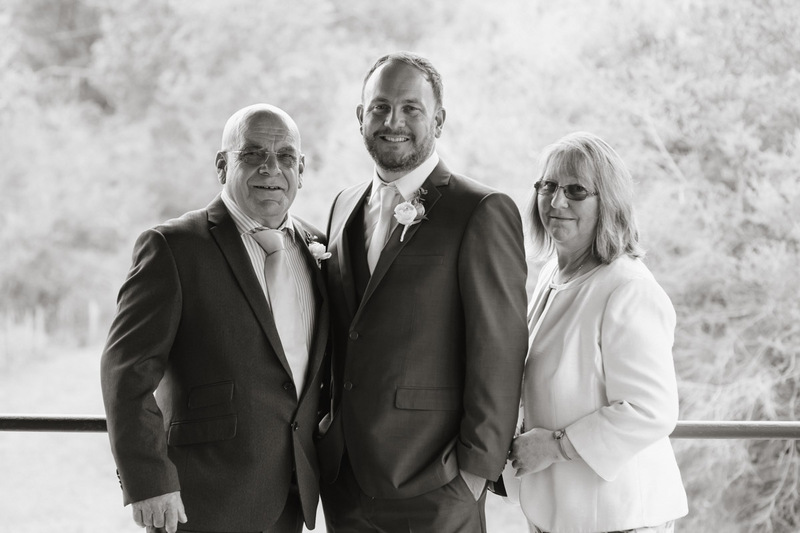 It’s always hard to choose just one favourite from each wedding we photograph, but it was particularly difficult in the case of Ben and Fran, with both real and raw moments, and artistic moody images to choose from. 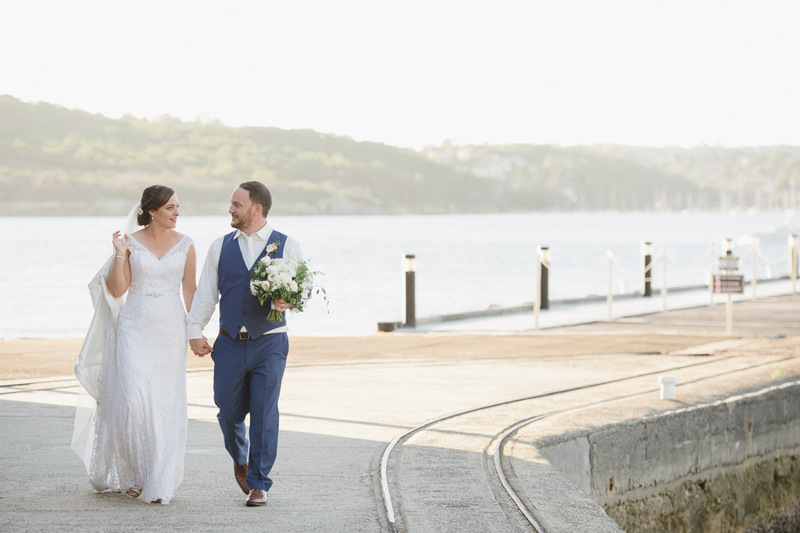 But in the end, we couldn’t go past the relaxed shot of the couple as they walk hand in hand into their new life together.